Eat: City Island is about a seven-mile drive northeast of Yankee Stadium. Unfamiliar to many visitors to NYC, this 1.5-mile strip of land offers a wide variety of seafood restaurants in a boat-friendly residential area. Try the Lobster House where you can visit for lunch or dinner and enjoy large helpings of lobster and other crustaceans. 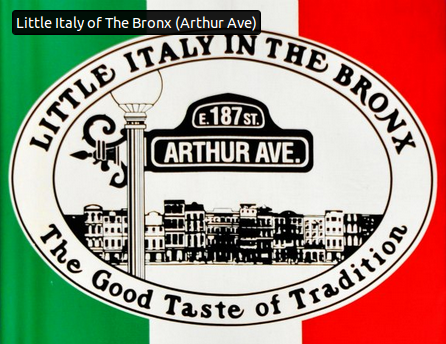 Little Italy -- Arthur Avenue is one of the best-kept secrets of the Bronx, a thriving area of Italian food and culture. An abundance of native Italian families flocked to this area to set up a home away from home. Different from Manhattan’s Little Italy, this area is considered to be more “authentic” throughout. 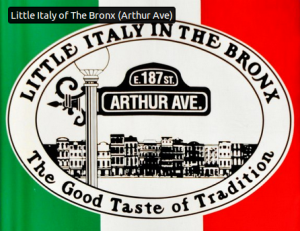 A place where Italian restaurateurs as well as local families do their shopping, Little Italy has stores and an indoor Retail Market where vendors sell breads, pasta, gelato, sauces and fresh meats of Italy. Restaurants are family-friendly and serve copious portions; many like Dominick’s have no menus – just ask for your favorite dish or let the server surprise you with the evening’s specialty. Another favorite is Mike’s Deli where you can stock up with items for cooking at home or put together a meal to eat on the spot with cured meats, dolce, olive oil and other delicacies. Sleep: Head back to Manhattan to enjoy a good night’s sleep in one of the top hotels in the city. With the Columbus Circle subway hub adjacent, this is an easy commute from Yankee Stadium and a day in the Bronx. Here you’ll enjoy one of the 248 luxe rooms at the 5-star Mandarin Oriental Hotel where relaxation is the main goal. Overlooking Central Park and located in the pulse of the city in Columbus Circle, the Mandarin Oriental offers ultra-pampering spa services, top-flight dining and drinking options, and knockout views of Manhattan. Asiate, the hotel’s Asian-inspired restaurant is known for its Central Park-inspired décor, award-winning wine collection for lunch and dinner, and an amazing breakfast selection that includes a Japanese bento box assortment. Relax post-game at the MOBar or Lobby Lounge, drinking in both the incredible views and your favorite cocktail. The A, B, C or D subway lines will bring you right from the ballpark to the front of the hotel. 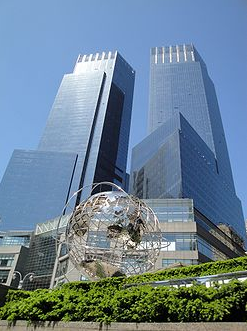 From the Mandarin Oriental, you can easily walk to the attached Time Warner Center with its fantastic array of shops (Montmartre, Hugo Boss, Eileen Fisher, Stuart Weitzman) and restaurants (Bouchon Bakery, Per Se, Porter House, A Voce, Bar Masa). Or, go super elegant and head over to Fifth Avenue where the famous street is lined with high-end boutiques like Chanel and Pucci, and kid faves like American Girl and H&M. Even if you rather participate in the art of window-shopping, you’re in for a treat: the male models of Hollister strut their stuff in front of the store during the warmer months and Bergdorf-Goodman’s window display redefine fashion and artistic creativity. This entry was posted on Thursday, September 27th, 2012 at 2:35 am	and is filed under Stuff to Do. You can follow any responses to this entry through the RSS 2.0 feed. You can leave a response, or trackback from your own site.